Female fully winged, dark brown when mature but bicolored when recently emerged. 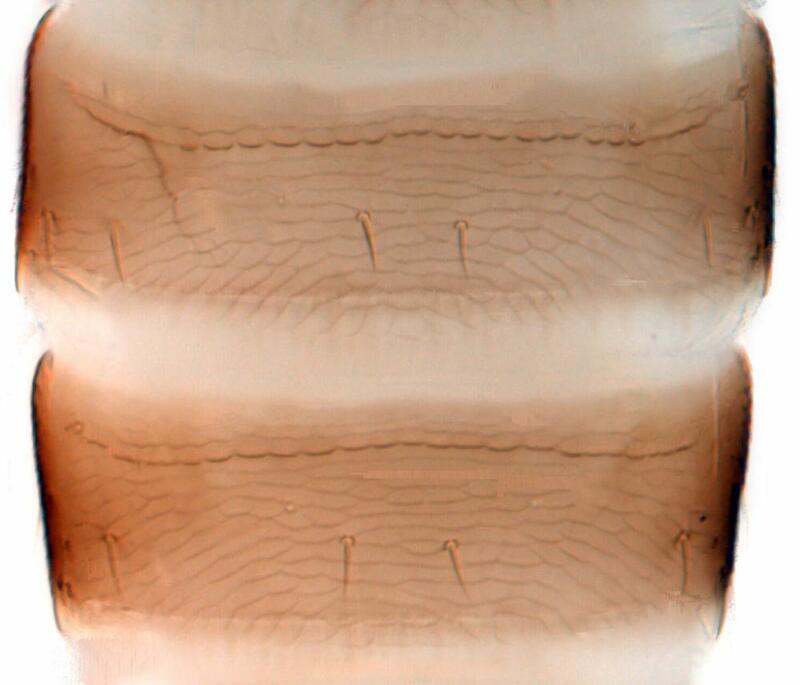 Antennae 8-segmented, segments III–IV with simple sensorium stout; segment II prolonged externally with terminal sensorium. Head small, projecting in front of eyes, vertex with about 3 pairs of setae. 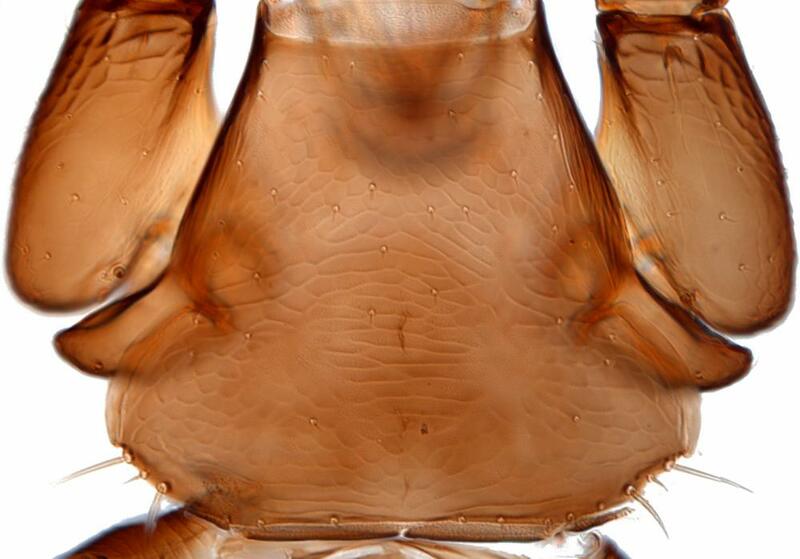 Pronotum trapezoidal, 2 pairs of prominent posteroangular setae. Fore coxae enlarged and transverse, fore femora swollen, fore tibia extending around external margin of fore tarsus. Meso and metafurca weakly developed. Fore wing slender, apex pointed, first vein with 3 setae distally, second vein with 3–4 widely spaced setae. Tergites with transverse sculpture lines medially; antecostal ridge of tergites II–V with row of small tubercles; craspedum complete on I–VIII. Ovipositor weak, without teeth. 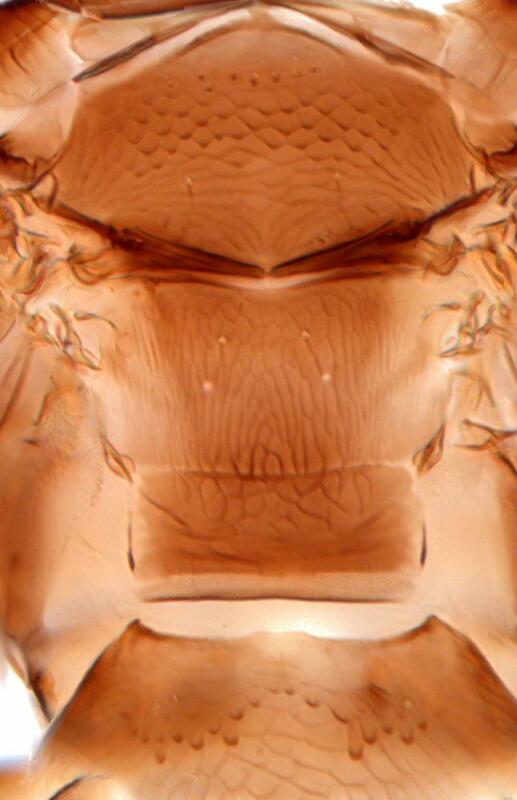 Sternites II–IV medially with pattern of tubercles. 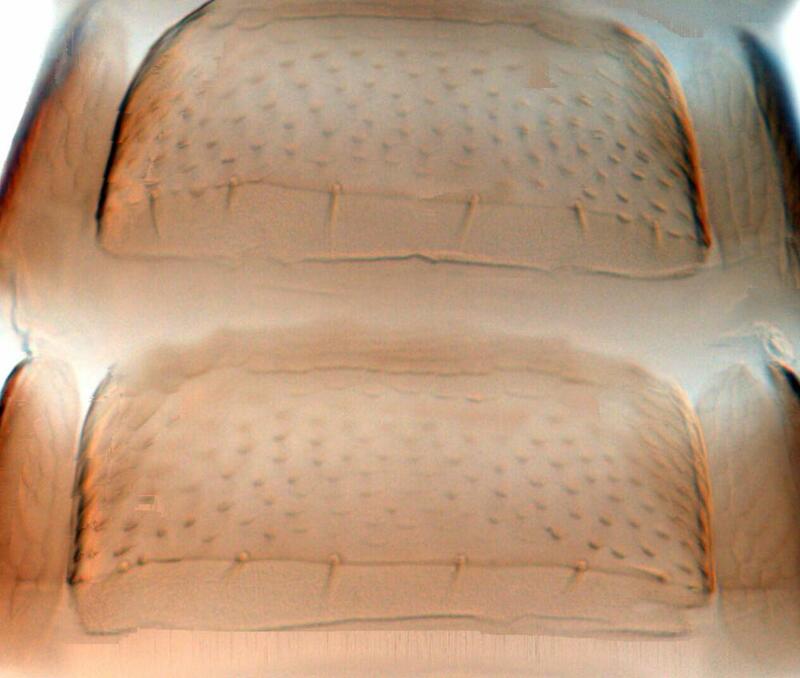 Male wingless, yellow; sternites III–VII medially with large circular pore plate. 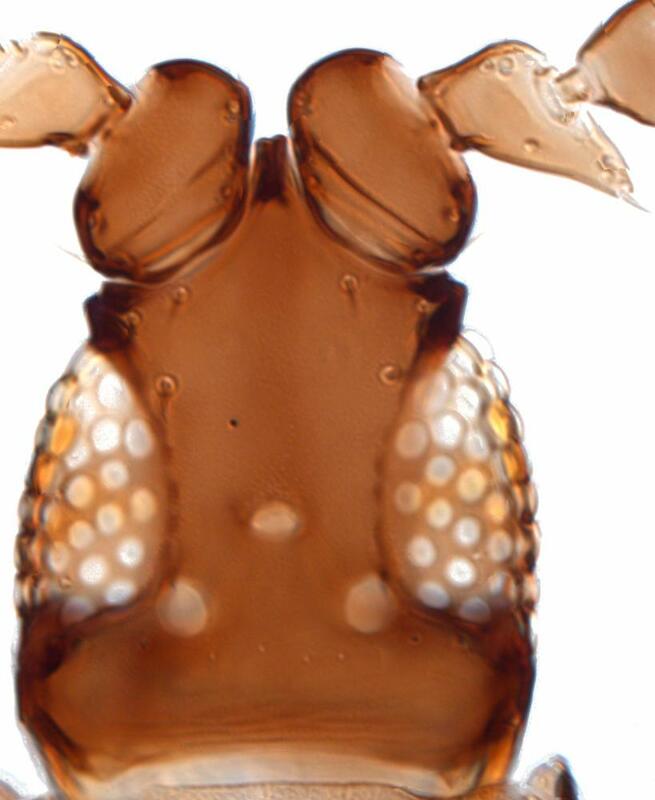 The genus Arorathrips now comprises 15 described New World species (Nakahara & Foottit, 2012). 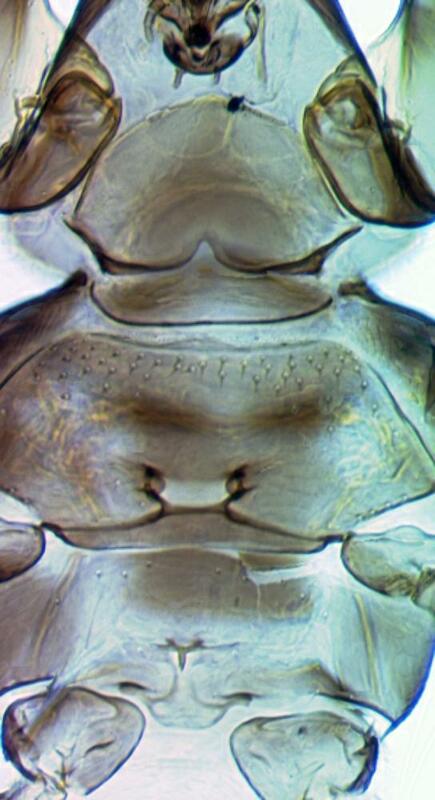 These all differ from the members of Chirothrips in having the mesothoracic endofurca greatly reduced. 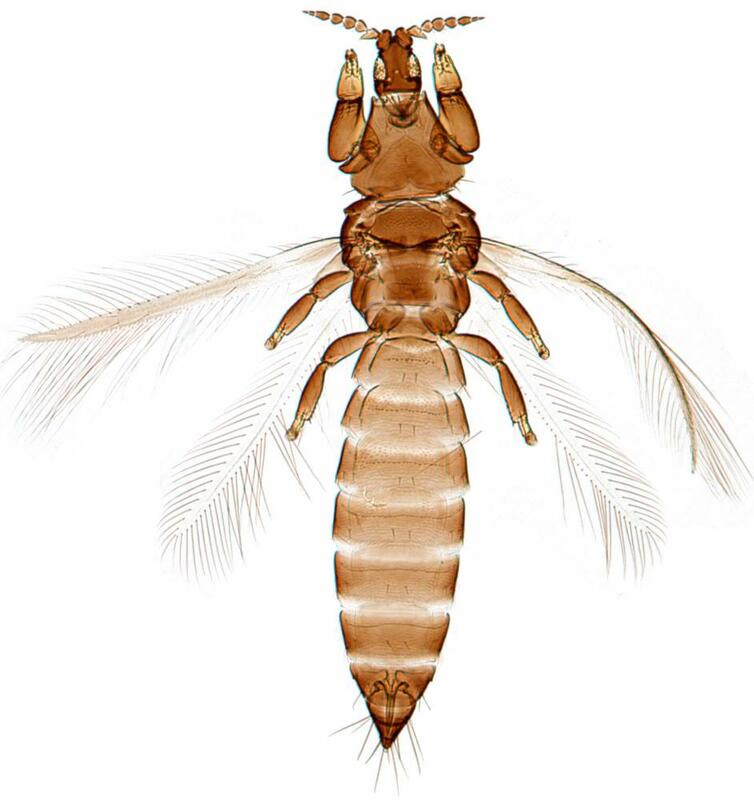 A. mexicanus is closely related to A. crassiscelis Strassen that is presumed to have come from Argentina and has a larger number of setae on the head. Breeding within individual florets of various Poaceae. Recorded from many different grasses, but with no recorded specificity. Widespread throughout the world in tropical countries.